What's next for the world of e-commerce? Not too long ago, the idea of online shopping was a little strange. People were comfortable with just going down to their local store, driving to the mall or asking a friend to find a specific item or piece of clothing on a trip overseas. The world of online retail especially left many people feeling sceptical. Horror stories of orders gone wrong circulated heavily: products that looked nothing like the pictures, scams and overdue deliveries. Now, of course, the online world is going from strength to strength: eMarketer projects retail e-commerce sales will increase to over $4 trillion by 2020, making up nearly 15 per cent of total retail spending that year. Furthermore, the Walker Sands' 2016 Future of Retail study questioned nearly 1,500 consumers on their weekly shopping habits, with the results showing online shopping has no plans of slowing down in the meantime. Nearly 80 per cent of consumers would choose drones for delivery if it meant getting purchases within an hour of ordering. The study found that the number of online shoppers is up more than 41 per cent over 2014, with more than 30 per cent of all consumers now shopping online at least once a week. Walker Sands also questioned consumers about their in-store shopping, luxury e-commerce and mobile payment habits. According to the study, 92 per cent of respondents say they prefer shopping for food and groceries at a physical location, however nearly 70 per cent say they would be willing to buy these products on Amazon or an online supermarket site. More than a third of respondents reported using a mobile app to pay for goods in the past year, with Android Pay the most popular mobile payment option. Just as this technology has taken off in recent years, another recent development in delivery could change how we receive goods in the not-too-distant future. 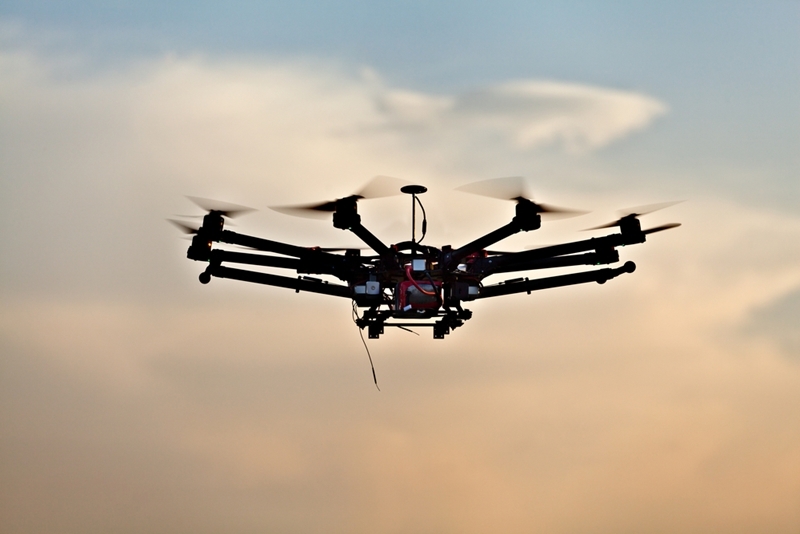 Drones are projected to see future use in product delivery. Consumers were also asked about their opinion on drones being used for delivery, with nearly 80 per cent of respondents saying they would choose drones as a delivery option if it meant getting purchases within an hour of ordering. Eighty per cent of the most frequent shoppers reported they would be more likely to buy from a retailer that offered drone delivery, compared to only 53 per cent of infrequent online shoppers. When asked about safety and security concerns around drones, 72 per cent of the consumers surveyed said theft and damaged goods were their top concerns. Forty per cent of the survey participants expect to have drone delivery options within the next two years. However, the attitude towards drones are similar to those presented at the dawn of online shopping - consumers are wary of new technology that seems untested, unsafe, or a break from their usual routine. So where will the future of e-commerce take us? Looking at the Walker Sands survey, customers are demanding security and efficiency from online shopping, opening the door for big data to swoop in and offer a helping hand. Data analytics will help drive the future of e-shopping, with customer information collected, collated and used to offer personalised and individual online shopping experiences. Advanced Business Manager offers core accounting system software that can be customised with additional modules. As everything begins with our core accounting software, you can easily add-on the modules that you require as you need them - presenting a scalable, durable solution that changes as your needs do. If you're new to ABM software, or already a customer and looking to make the move to an e-commerce platform, get in touch with our team today for a free demo.